Celestia was the only one that didn't fall, but before she could glide down to join them the ceiling closed back up, plunging them into pitch blackness. As the noise of their landing faded, they could make out several low growling noises, coming from all around. Oops. Yes, three rounds rapid please. Sorry, yes, I'm here. Community drama and a mostly unfaltering desire for more art have kept me busy. That and I hate having to catch up on things. Makes it awfully hard to get started again if I lose focus. Hector! You're back! And your front, you're both here! Anyways, where's my three rounds rapid? 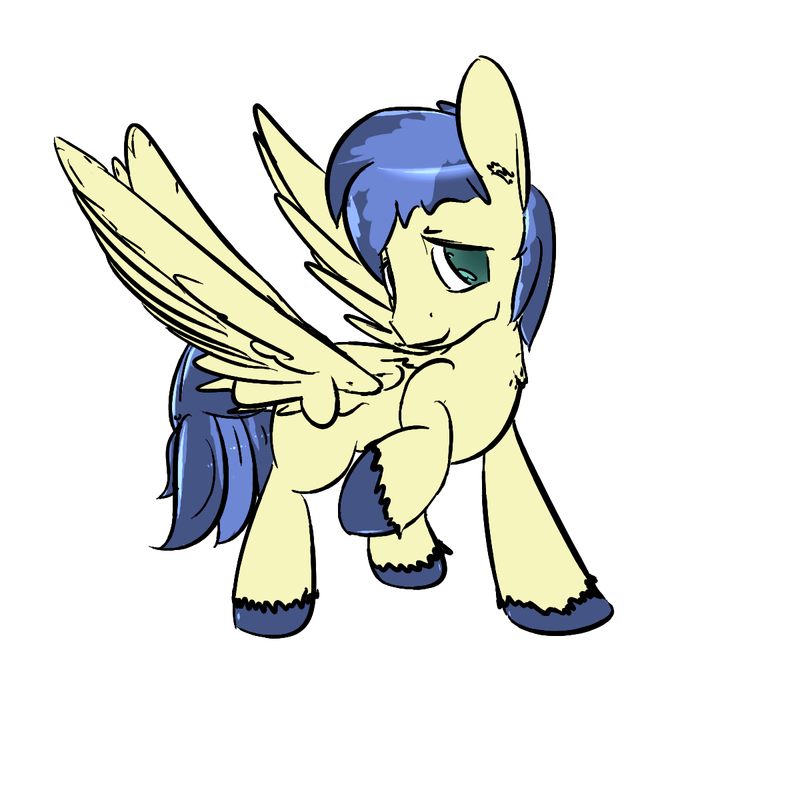 Instead of answering your question, have a Cloudy I drew earlier. Hang on, I'm not even there! I will post further in RP though. My three rounds rapid comment wasn't actually directed at you; no-one had sent me their actions at the time.